Timor-Leste has a strong culture of hospitality and most socialising involves food. A traditional Timorese lunch or dinner meal includes rice, meat or fish, beans and corn, seasonal vegetables with clever use of local spices, fresh herbs, tropical fruits and sometimes coconut milk accompanied by extremely hot ai-manis (chili paste). 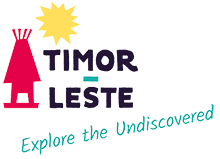 Timor-Leste is rightly famous for its rich, dark and delicious coffee, grown organically in the hills. As you explore Timor-Leste it is interesting sampling the different coffee. Bags of freshly roasted coffee beans make a great gift to take home. For a city of its size, Dili has a wide range of restaurants reflecting many differing influences. International options include Chinese, Portuguese, Indian, Thai, Turkish, Italian, Japanese, Korean, Indonesian and Brazilian, amongst others. These vary from the up market to the very casual. Many have beautiful views out over the water where you can enjoy the sunset. Daily caught seafood and organically grown fruit and vegetables from local farmers influence their menus. Most restaurants serve beer and wine, and a few pour an excellent cocktail. There are also dedicated bars, some of which have local Timor-Leste bands. Small bakeries and cafes in Dili are other popular meeting places. In the evenings food stalls grill fresh seafood along the beachfront and this can be enjoyed with a cold drink as you take in the views. Out in the districts larger guesthouses usually provide meals in-house and there are other small restaurants – mostly ‘warung’ style. Along the coastal roads grilled fish stalls also are readily available.